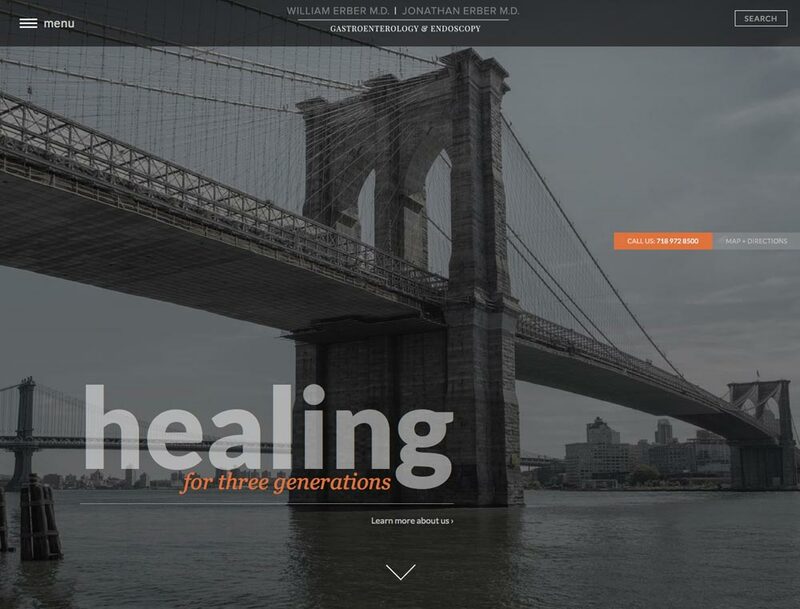 We designed a new site for Dr's Jonathan and William Erber, Gastroenterologists in Brooklyn NY. 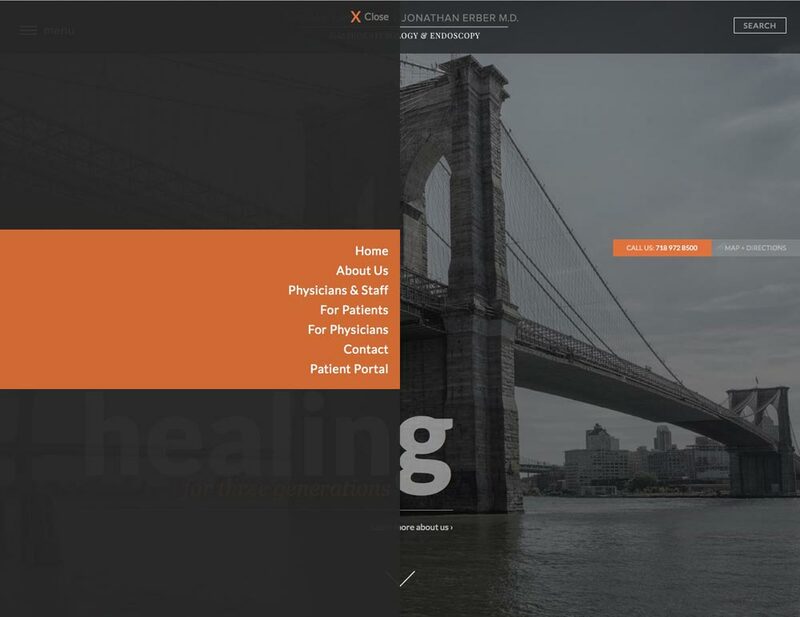 What, might you ask, is a Columbus Ohio web design firm doing designing a website for NYC doctors? Well, location no longer matters, so we've been designing and building websites for companies and practices scattered around the country. The important thing is what you bring to the table, no matter how far away the table might be. For us, we bring custom design work, a marketing perspective companies appreciate, and customer service we think is as good as any other web design firm. When we started working with Drs. Erber, as we do with every client, we ask what separates them from their competition. Many companies have a hard time with this question. We often hear, "Well, we pretty much do what our competitors do." That is certainly understandable: most companies do what their competitors do. The question then becomes, how do you position any subtle differences to your advantage. This is where we think we bring a lot to the table, so instead of just listing who they are what they do, we highlighted their areas of expertise. These are things new (or even existing) patients wouldn't know unless they were placed prominently on the homepage. Their expertise is also prominently on display through the blogs on the homepage. 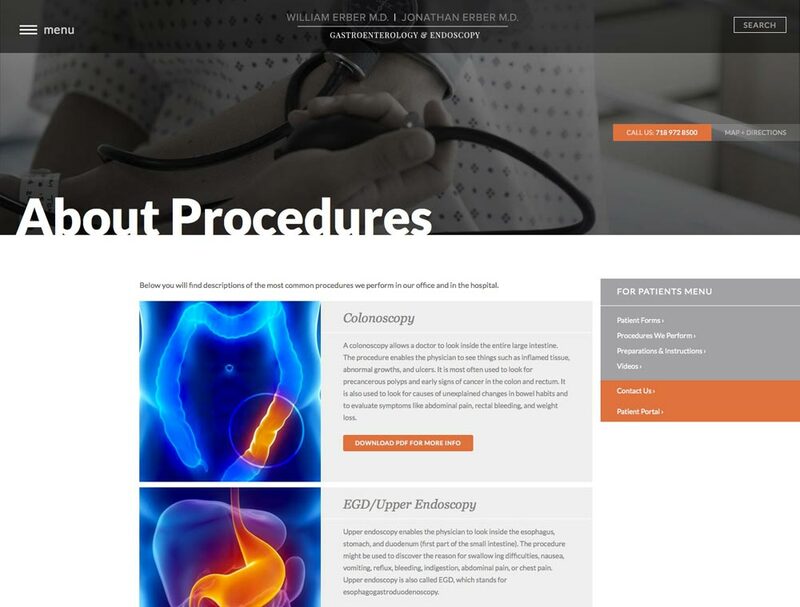 Not every doctor's website has a prominent blog that showcases their experience. It helps with SEO when you are constantly updating your blogs using the right keywords. Whose world are we living in? Most folks who don't live in the world of web design and SEO, aren't aware of the things we take for granted. Because we live in that world every day, we understand the intricacies of new technology in web design and SEO. But of course, that would be true the other way around as well. We know almost nothing of our clients' areas of expertise either. But they live in that world every day... which is why Dr. Erber told us we better get a colonoscopy sometime soon. It;s just that time. And who are we to argue with the good doctor?